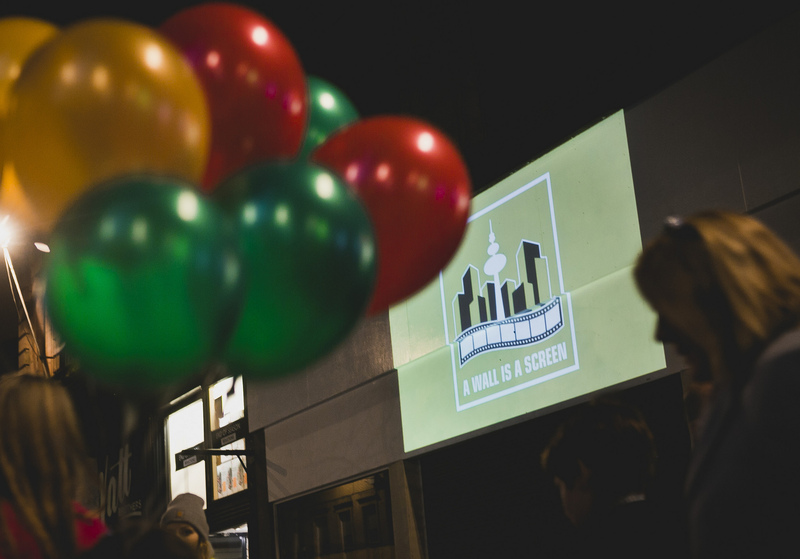 How to create a pop-up, open-air short film festival? Just do it. When darkness falls city streets and blank walls take on a different identity. Is that a threat or a promise? No, seriously, don’t ask. Just do it. Shedding light on familiar or forgotten places can change perceptions, stir imaginations, reclaim the space and the night. Welcome to A Wall Is A Screen:Leith the pop-up – some say guerrilla – short film walking tour which happens in Leith on Saturday 11 August. When darkness falls, it leads the audience on a mystery tour of streets and buildings. Short film screenings at secret destinations reclaim daytime shopping centres, office blocks, council buildings – city walls of many kinds; opening new vistas, shedding light in neglected places or murkier corners of our neighbourhoods. Before we go any further we should point out that A Wall Is A Screen:Leith is officially recognised in Fringe Festival 2018 and part of Glasgow2018, £eith Chooses, and Film Hub Scotland. But the event is a triumph of creative activism and quiet determination to overcome the ‘Do you need permission for that?’ mindset that can prevent grassroots events. Not only in Edinburgh. And it makes for one of many cheeringly maverick highlights of our very first Talking Feet podcast to venture into Edinburgh. Episode 5 of the series explores creative community activism brewing in corners of the capital city and across many other parts of Scotland. So where better to start than Leith? Here we meet Morvern Cunningham (of LeithCreative and LeithLate) one of the organisers of A Wall Is A Screen: Leith, in conversation with Andy Summers, architect, photographer and co-founder of the successfully provocative Architecture Fringe. Their conversation often returns to the difficulty of getting grassroots events off the ground. The importance of asserting the right to provoke questions, to stimulate a new look at the spaces we often feel excluded from. ‘Everyone says, do you need permission for that,’ says Morvern. If it involves the council, she finds, the automatic reaction is to say ‘No’. Here are the voices of experience. And this lively, invigorating podcast shows how a good conversation can keep on reverberating. This one, recorded in a deceptively quiet corner of Leith began just before the Architecture Fringe launched its third annual, and biggest yet, programme of events across Scotland [featuring HERE in a previous blogpost]. Andy and Morvern pause for thought during Talking Feet recording with Amanda Mitchell in a corner of Leith. Her description of A Wall Is a Screen: Leith leads to discussion of public space and how it is used differently in different cities. Where is the heart of the city? In Glasgow, although sometimes otherwise occupied, it is George Square. In Edinburgh, says Andy Summers, it’s a void. Without a heart, how do throbbing creative ideas circulate? It’s difficult to make connection, observes Morvern. During the Festival it’s hard to stand out, to be heard above the roar of the crowd. For the other eleven months of the year it can be difficult to attract attention. Now, as Edinburgh city centre prepares to burst at the seams A Wall Is A Screen: Leith provides a chance to discover where grassroots grow. ‘Leith, Edinburgh’s best hope,’ says Andy. The Leith Creative Fringe event will be the first Edinburgh experience of the Hamburg-based short film collective A Wall Is a Screen. And it’s happening, by the way, in Weimar, Germany on the same night. The programme is always site-specific, encouraging audiences to look and think again about the space. When Morvern led the tour during Glasgow Short Film Festival in 2015 the last destination was Buchanan Street steps at a time when there was a widely supported (and ultimately successful) campaign to ‘save the steps’ as a public gathering place. Where will it take this year’s Fringe audience? And do listen to Talking Feet Episode 5 on iTunes and many other podcast platforms. Fay Young is a writer and editor with special interest in arts and the environment, both natural and manmade. She is research and development director of Walking Heads, board member of ACTive Inquiry, and founder-organiser of Leith Open Space.